(NaturalNews) Over the last several years, sugar has been cast as one of the primary causes of our ever-declining health. Given that the amount of sugar we consume each year has been on the rise for decades, it's really no surprise. According to a 2014 press release from the Obesity Society, average added sugar consumption in America has increased by more than 30 percent over the course of three decades. Study author Elyse Powell, Royster Fellow at the University of North Carolina Chapel Hill commented, "Added sugars increase excess energy and reduce nutrient density in our diets, often contributing to weight gain and obesity." Ms. Powell noted that even though there have been some recent declines in sugar consumption, Americans are still eating and drinking sugar in quantities well above what is recommended. The study found that while the average consumption of sugar is frightening, there are even more alarming findings to behold. For example, the top 20 percent of sugar-consumers are taking in at least 721 calories from added sugar each day, or more. To put it simply, it is really no surprise that sugar has become so tightly intertwined with disease. While added sugar has already been attributed to harmful health conditions such as obesity and is known to be a primary constituent of a poor diet, sugar continues to be linked to other diseases. A study published recently in the journal JAMA Internal Medicine notes that sugar is now considered an independent risk factor for cardiovascular disease, among other conditions. What this means is that even in the absence of other risk factors, sugar consumption still increases your chances of developing heart disease (or other conditions). The study found that participants who consumed approximately 17 to 21 percent of their daily calories in the form of added sugar had a 38 percent higher risk of dying from cardiovascular disease, compared to those who got roughly 8 percent of their total calories from added sugar. In an accompanying editorial, Laura Schmidt – a professor of health policy in the School of Medicine at the University of California at San Francisco – states, "Sugar has adverse health effects above any purported role as 'empty calories' promoting obesity." She commented that too much sugar does not just make people fat, it can also make them very sick. How much is too much is something that has been up for debate for quite some time now. One thing is certain; it's definitely a lot less than most people would like for it to be. 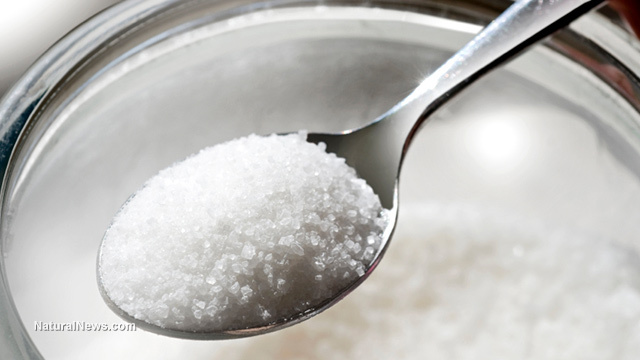 A little bit of sugar can go a long way – and there is a lot of it in just about everything. Most experts agree that added sugars are what is most harmful to us – not those that are naturally occurring in fruits and vegetables. Added sugars are often found in prepacked food stuffs, desserts, sugar-sweetened beverages, candy, cereals, and baked goods. While there are many suggestions as to how much sugar a person should consume in a day, the US government has never set any concrete nutritional guidelines for sugar intake, unlike other nutrients such as fat and sodium. And as CNN points out, the FDA has regarded sugar as "generally safe," which means it can be added to foods in unlimited amounts. Of course, the federal government's opinion is not the end-all be-all when it comes to nutrition. Regardless of their stance, or lack thereof, scientific evidence continues to suggest that we need to be more mindful of what we are eating.